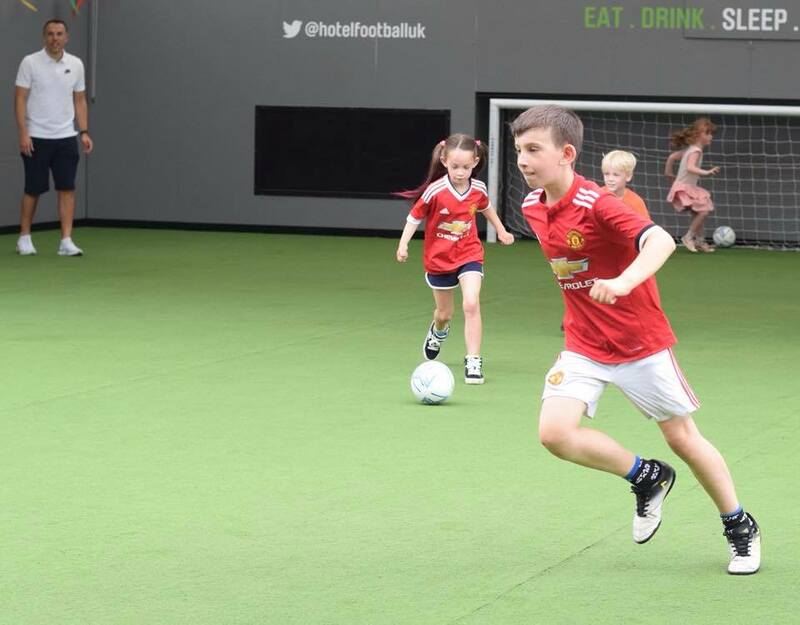 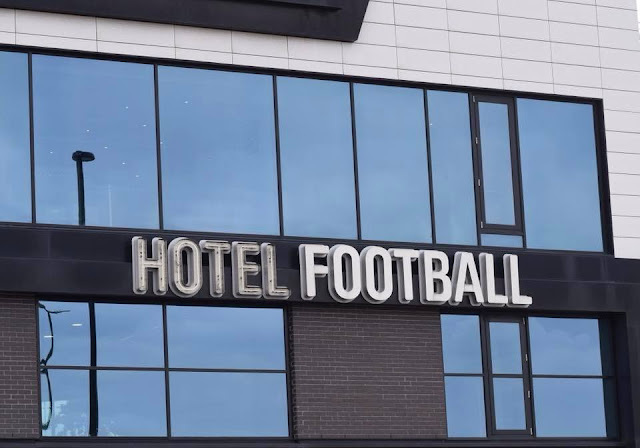 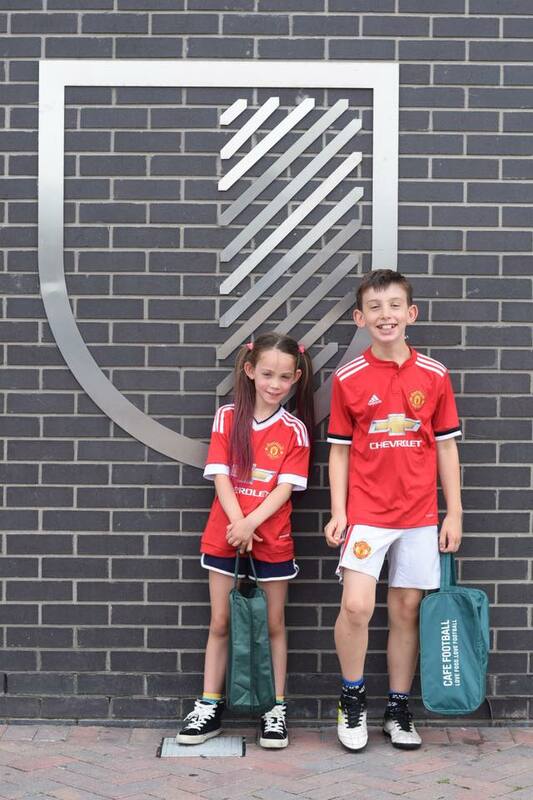 Yesterday, we were invited down to Hotel Football at Old Trafford for a special preview of their summer football camp which runs from Monday 30th June – Friday 3rd August, on the special football pitch on the top floor of the hotel, otherwise known as 'Heaven'! 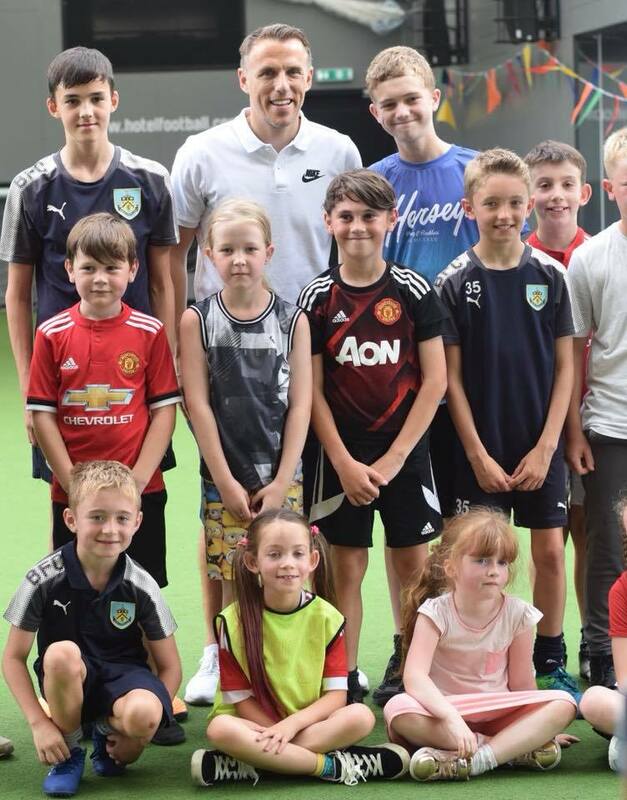 Both children had a fantastic hour getting a taster of the summer camp sessions and practising football skills with one of the FA qualified coaches from Shooting Stars. 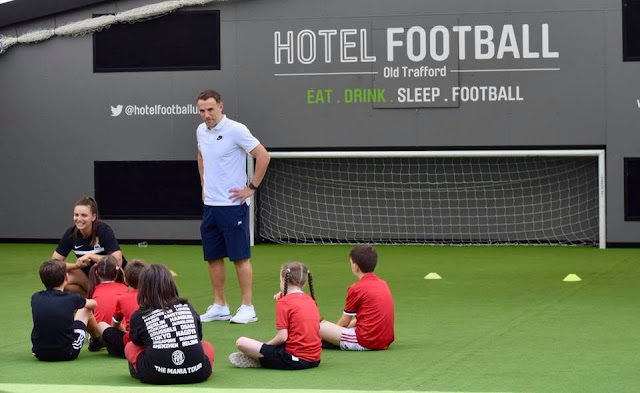 They also had an extra special treat of being joined by the England Women's Football Manager and former Everton and Manchester United player Phil Neville, who is also one of the co-owners of the hotel. As well as providing full day childcare for working parents, Hotel Football’s Summer Football Camp offers youngsters between 7 and 12, the chance to develop their skills and learn new techniques from FA qualified coaches in a safe, fun environment in a ‘one of a kind’ setting of the rooftop football pitch. Each day is carefully structured so children can learn new techniques, develop and enjoy themselves while meeting new friends with engaging activities. 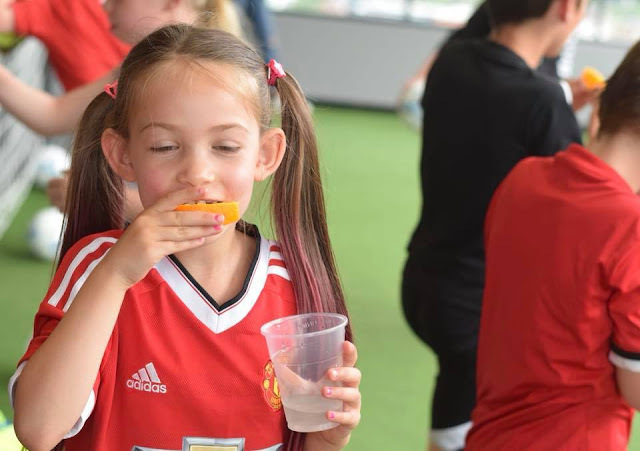 Breakfast and lunch is provided each day and is included in the price and every child will go home with a Cafe Football sticker album and sticker starter pack. 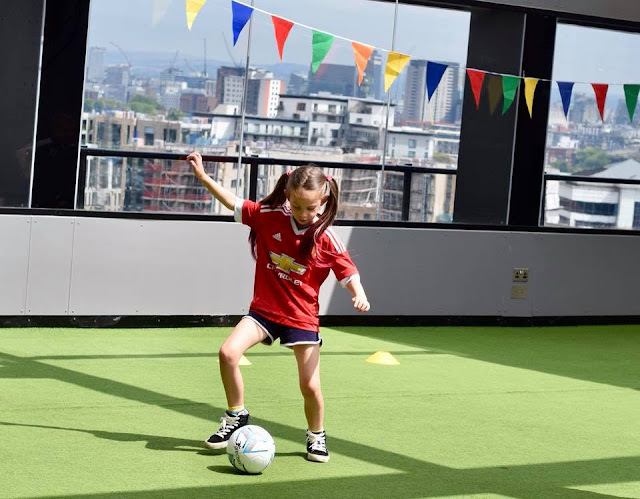 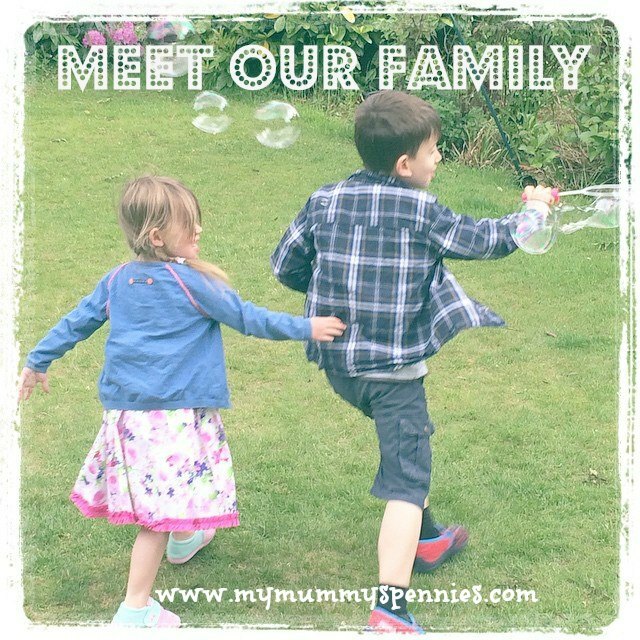 To reward the children for their efforts, they will receive an award certificate per day and all five day attendees will go home with a medal at the end of the week.